I've been a fan of Frenzy Bros. for quite some time. They're really a kindred spirit in their love of far out, colorful barbarian monster toys. 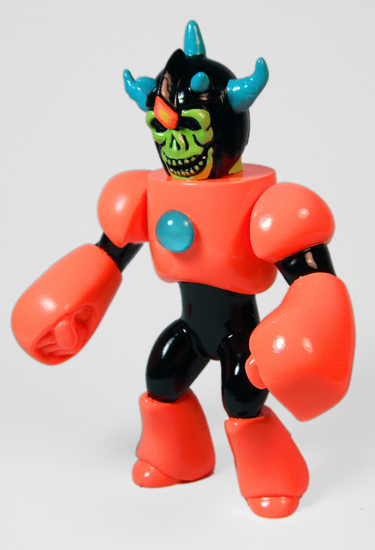 This past C2E2, I just randomly reached out to Shoji from Frenzy to see if he'd like to have an exclusive of one his vinyl/resin hybrid figures at Nerd City's booth, and much to my excitement, he was totally down! 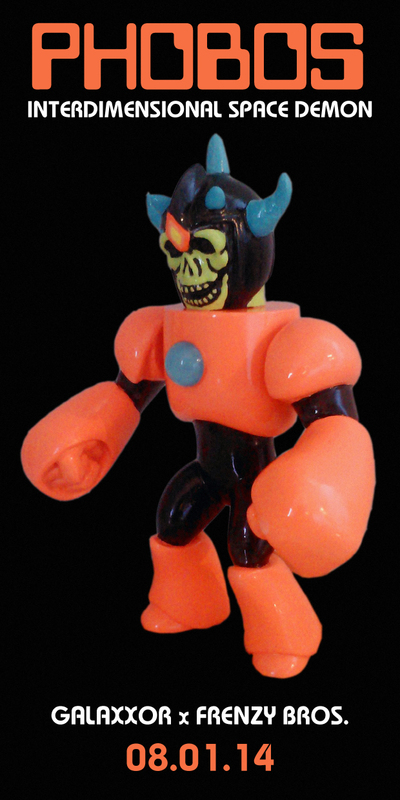 What he came up with was Nightmare, a super weirdo/badass skull/demon faced barbarian figure that ended up being a huge hit. During our conversations, it came up that Shoji also dug Galaxxor and we came up with the idea of a Galaxxor x Frenzy Bros collaboration. and the end result is Phobos: Interdimensional Space Demon! 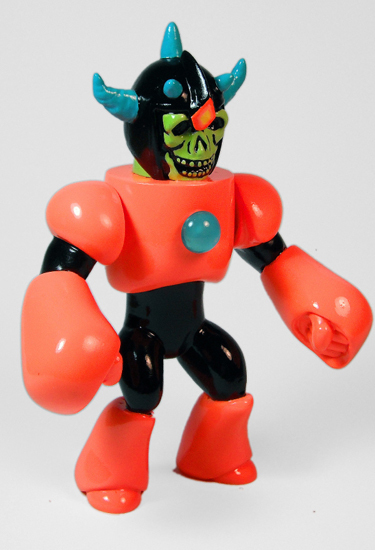 This classic 5.5" action figure-style resin art toy features a head that was sculpted by Frenzy Bros. and a body that was sculpted by Ben Spencer, engineered and produced in resin by The Godbeast and True Cast Studio, and hand painted by Ben Spencer. 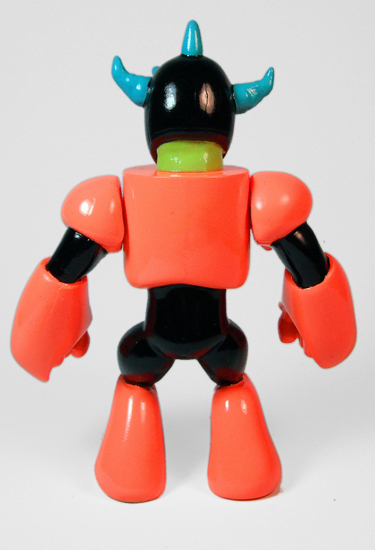 Phobos features 2 points of articulation and comes packed in a traditional bag and header style. This figure is limited to an extremely limited edition of 3. 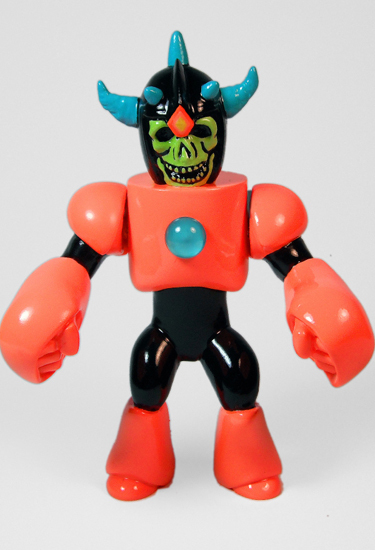 Phobos: The Interdimensional Space Demon will be available 08.01.14 at noon CST from the Galaxxor online store for $85 each.